HOBART, Ind. (WLS) -- Tristin Galloway, 18, was charged in the beating of a 16-year-old boy in Hobart, Indiana, whose assault was filmed and posted on Facebook. Hobart police said Galloway and two other boys, ages 14 and 17, were arrested on Saturday in connection with the incident. Hobart police spokesman Detective Jeremy Ogden said a concerned citizen alerted officers to the short video, posted on Facebook, showing the assailants punching and kicking the victim at City Ball Park. Ogden said the victim sustained minor injuries. The two teens have been placed in juvenile custody. Galloway was charged with criminal confinement and battery with moderate bodily injury, both felonies. 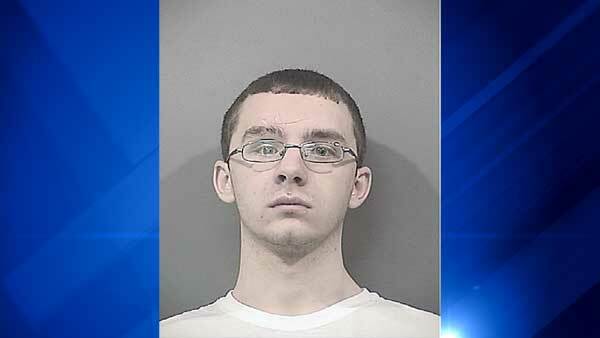 He is being held at Lake County Juvenile Center.